Western Governors University (WGU) is an online university that has been around since 1997 having been formed by 19 US governors. They offer a wide range of different bachelors and masters degrees and the university is fully accredited and also respected with some 98% of employers being satisfied with the quality of graduates from their courses. All courses end with a WGU capstone project which must be passed for graduation. This can be a tough part of the course and if you look at the WGU capstone examples provided you will see that the standard expected is very high. The programs offered through the university are split into four main schools, each with their own unique offerings and also formal accreditations. These schools are business, teaching, IT and health & nursing. Each school has several distinct programs for bachelor and master degrees. As with most universities, each of the schools has their own very specific requirements as to how your capstone must be laid out and structured. These instructions are clearly laid out and you must ensure that you follow these instructions to the letter if your paper is to be accepted. Mistakes in your formatting will cause your paper to be rejected and it will be returned to you for revisions. On the whole, you will be expected to provide citations and references within your paper in APA style for the majority of papers when you write a WGU capstone. Task 1: you will be required to provide a number of documents that will outline your intended capstone project. This is not a formal proposal but a set of answers to predetermined questions on the documents that you will be provided. The aim is to provide your tutor with a full understanding of everything from WGU capstone topic ideas through to what you are looking for in the way of outcomes from your project. You will also be asked if the information that you will be using for the project is confidential and if your finished project is something that can be included within their archives. Task 3: this is the actual capstone paper. Watch all of the videos that are provided through the course about how to complete your capstone. Also, make use of the “bridge document” as this shows you how your proposal sections map out to the final capstone paper. Remember that you will be able to use much of the information that you have provided for task 2 within your final paper but you will need to change the tense from future to past. Once completed you submit your WGU capstone papers and wait for your result. The paper will be reviewed and you will either pass, fail, or have your WGU capstone projects returned to you for revisions. You will have to do pretty poorly to actually fail, on the whole, you will be given the opportunity to correct any issues with your work and to resubmit. There is no WGU capstone presentation or face to face review as the programs are wholly done online. Understand the program requirements fully: all tasks have very detailed instructions and these must be followed with care. Most also have linked videos and other information that you can use to help educate yourself as to what is expected of you. Always ensure that you make full use of what is provided for you and ensure that you know precisely what you must do before you start and do not be tempted to rush off ahead without knowing exactly what is required. Choose your WGU capstone topic ideas with care: no matter what program or school you are within you will need to ensure that you choose a project idea that you can actually finish. Poor WGU capstone ideas should be highlighted right from the start by your tutor, however, if you do choose poorly then you could end up with a project that will be difficult to complete to the standards required of you and you may have to go back to the drawing board. Have a clear plan and use it: many see the timing plan within their proposal as just a part of the documents required and then fail to actually make use of it. By having a clear plan that is well laid out with milestones for completing different parts of your project you can ensure that you make the progress that is expected of you. Use WGU capstone project examples: it is relatively easy to find past capstones and WGU capstone examples to look at within your subject area. These will offer you a huge insight into how your own paper needs to be written and what is really expected of you. They can be an excellent guide for your writing and project but you should never be tempted to simply copy what you see. WGU uses a plagiarism detection program that will highlight work that has been simply copied. Make an outline: far too often students simply just rush into their writing with little thought as to what they are going to say and how they will organize their thoughts. This leads to poorly written papers and usually a huge amount of rewriting. A good outline that makes simple notes of what you need to cover within each section of your paper will help you to have a clear understanding of how your paper fits together and what should be written where. Not only that, but a good outline can also highlight any problems with your paper at a very early stage in the process allowing you to put fixes in place. Review and proofread your paper: your capstone must be perfectly written and free from any mistakes if it is to be accepted. While minor errors will be returned to you for a correction this will cause you significant delays and of course, cost. Always review your paper with care so that there are no issues when you submit it. WGU capstone ideas must be selected with care if you are to have your proposal accepted and if you want your project to go smoothly. Mistakes at this initial part of the project process can be multiplied many times over with regards to the difficulty that they will present to you. Capstone topic ideas for WGU should be unique as well as something that will give you the opportunity to show off your skills and what you have learned through the previous parts of the program. They must also be something that is important within your subject area. On the whole, when it comes to capstone projects you are looking for real-world issues that you can solve through your investigation. Download a PDF with a full list of WGU capstone project topics! Finding good projects however, is rarely easy and many will struggle. Often you will need to refer back to your past work experience and classwork or do research into areas that interest you to discover possible ideas for your project. One other option is to look at lists such as those that we provide for you. Even if you do not see a suggestion that is right for you the ideas listed will often prompt thoughts of your own for projects that you could run. If you need effective topic ideas for your WGU accounting capstone then our list of projects can help you to find the right one for you. Even if the specific project is of no interest it may still trigger more ideas that may be more relevant for your own research. When should the lowest bid be accepted? How accurate are budgets when they are set? Is going vegan really a healthy option? Is there really a place for homeopathic medicine? Is chemotherapy worse than the disease? Are their old approaches to healthcare that still have a place in the modern world? Is brand something that every business needs to consider? Can a business survive without internet marketing? Do mobile phones and other devices really listen in to what you are saying? What makes a marketing post shareable? How effective are celebrity endorsements? Are online interview less effective? Should overqualified candidates be avoided? Career planning: for the benefit of the company or the individual? Are long-winded technical manuals really needed in today’s age? Your paper will be written by an expert: why struggle if you can have someone with years of experience and a holder of a higher degree in your subject area support your writing. Saves you time and allows you to get needed rest: our staff can do all of the hard work with your writing allowing you to concentrate on more pressing matters. Ensures your paper meets the required standard: our writers have native level English language skills as well as full understanding of all of the formatting and other requirements for your paper. Unique writing: our experts will never copy or adapt writing for you. 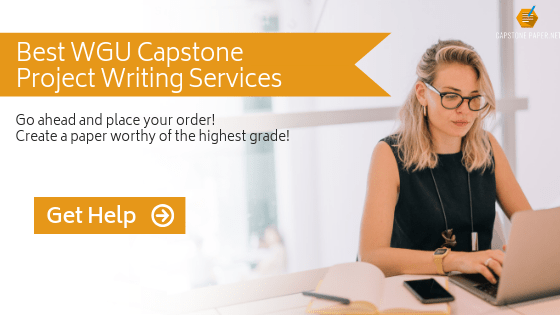 Each of our specialists will work directly with you so that they know what you are looking for within your capstone and will help you to produce the precise paper you are looking for. All writing is also provided with a free plagiarism report so that you can be sure it is unique. Unlimited revisions: not only will we write just what you are looking for we will also make any changes that you feel may be necessary for any reason. We want you to be 100% satisfied with the paper that is written for you. Delivered to you on time: speed is often of the essence when you turn to a service such as ours and we will always get to work as soon as your order is approved. Writing and editing are done quickly and we will always have your work to you within your deadline. Friendly support: no matter your question, you will be able to get through to our friendly and knowledgeable support staff 24/7 over the telephone or online. Well written error free papers: not only do our experts have excellent English and full grasp of the language and terminology used in your field, but all writing is also put through our expert proofreaders free of charge. Money-back: guaranteed satisfaction with your WGU capstone or we will refund what you have spent with us. Make full use of our WGU capstone project ideas and professional support to ensure that you get your paper written to the highest standards.